A right change in your eyebrows can highlight your other facial features. Do it the wrong way and you will spoil your appearance. It is never easy to find the best shape for your eyebrows without sacrificing the natural appearance. You need to be somewhere in between overly bushy and pencil thin eyebrows, because both can be quite distracting or dated looks. To understand how to shape your eyebrows, you need to learn about how to find the best length, arch and thickness of eyebrows as per your face type. Continue to find more beauty details. For different face types, you need different and specific tricks to shape your eyebrows. Here are 6 common face types and how to shape your eyebrows to your face type. For oval face type, you need to have well-balanced, classic brows. It is easy to shape your eyebrows and show a glowing appearance. If you have facial features that are vertically stretched out, extending your eyebrows from east to west will help balance things a bit. Make sure to extend the tails beyond the corner of your eyes or even a bit longer. Do not let it out too far otherwise it will make your eyes look droopy. Angular eyebrows work great for people with round faces. Very angular brows will add a degree of definition in a rounder face and even defines facial bone structure. A higher arch is a good idea for people with round faces. When you have a square jaw that enhances the angularity of your face, you need to go for softly rounded eyebrows. It is important to ensure that your brows are neither too angular nor too round. Rainbow shape brows are never going to look good on a square face. When you have a heart-shaped face with a petite jaw line and focus on the upper portion of the face, you should say no to bold brows and stick to well-manicured brows. It does mean you should have an overly thin brow. Just ensure they are not bushy and you are good to go. If you have a diamond shape face, you need to take steps to soften the angles in your face. You can achieve this by opting for curved brows. The round brow stencils may also work well for your diamond shape face. Ensure that your brow starts right at the bridge of your nose. The arch needs to be about two-third of the way out. Never cut your eyebrows short and ensure that the tails lift the eye. Now you have decided the perfect eyebrow shape to your face, you will natural go to the drawing procedure. Below are essential steps you should follow for a perfect appearance. Ahead of certain techniques regarding how to shape your eyebrows, you need to keep a few tools and materials handy. You need eyebrow powder to fill in patchy spots. For this, you need an eyebrow brush. Other commonly used tools include eyebrow scissors, tweezers, eyebrow serum, eyebrow pencils, eyebrow highlighter, and eyebrow gel. You may also need an eyebrow razor to clear extra hair on your face around the eyebrows. You need to take a straight edge and hold it in front of your face in a vertical position. 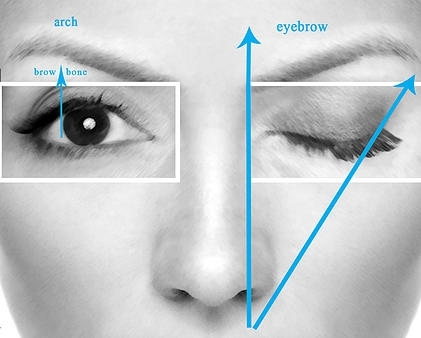 For eyebrows that are farther apart, make sure that the edge touches the inside of your eye and the edge of your nose. Mark that point and do the same for the other eye. 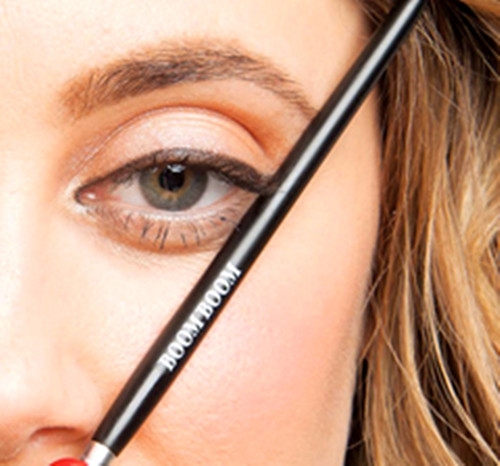 This is one essential step when you are trying to figure out how to shape your eyebrows. 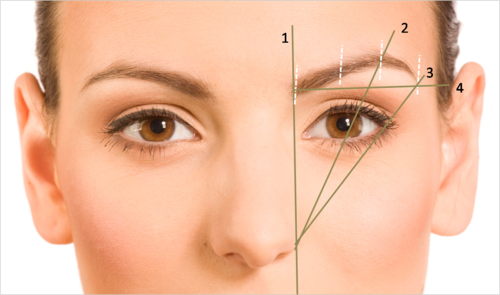 Change the angle of the straight edge in a way that it lines up with the outer edge of your pupil and nose. Be sure to look forward and mark the spot where the line meets your eyebrow. This is where you should have the peak of your arch. Angle the straight edge in a way that it touches the outer edge of your nose while staying along the outer edge of your eye. This is the point where your bro should end. Mark it as well. Connect the previous marking points into a line along the lower edge of your brow. Then just stick to the natural curvature of your brow here. This will help you to determine the thickness of you brow. You may consider using an eyebrow pencil if your brows are a little too light. Be sure to pick a pencil that is at least two shades darker than your hair if your eyebrows are fair. But if you have dark eyebrows in nature, you will need a pencil with lighter color. Keep your skin taut at the temple while using the pencil. 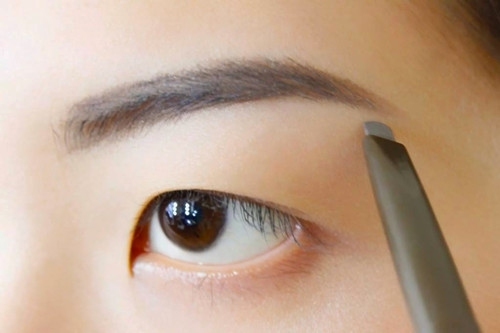 Then, use the pencil along the upper edge and then move to the lower edge of your brow. Use feathery strokes to fill in spots. Be sure to blend. Brush your hair lightly and apply gel to keep it in place. You can use clear mascara as a brow gel. Then, use a spoolie brush lift your hair up. Make use of slant-tipped tweezers to get rid of any unwanted hair left after filling and brushing. 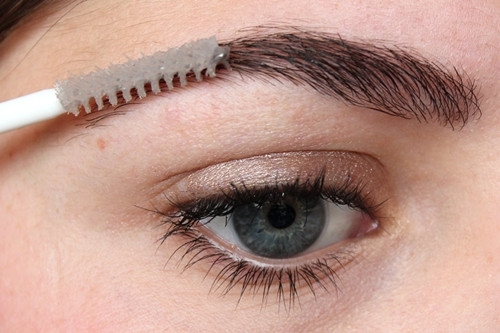 Just remember to not tweeze above; always tweeze underneath the brow. Trimming is also needed in case of noticing any eyebrow hair hanging out apparently and you can just snip those hair. However, keep in mind that regular trimming will make your hair harsh. A little trimming is fine though.